Strong Women. May we know them. May we raise them. May we be them. The pendant’s shape evokes a “shield of strength” that resonates with power and meaning. At the same time, artistic embellishments and decorative script add a feminine touch. Think about the strongest woman you know. She was probably raised by a woman who was equally strong and if she has a daughter, you know she’s being raised to understand her own power as well. 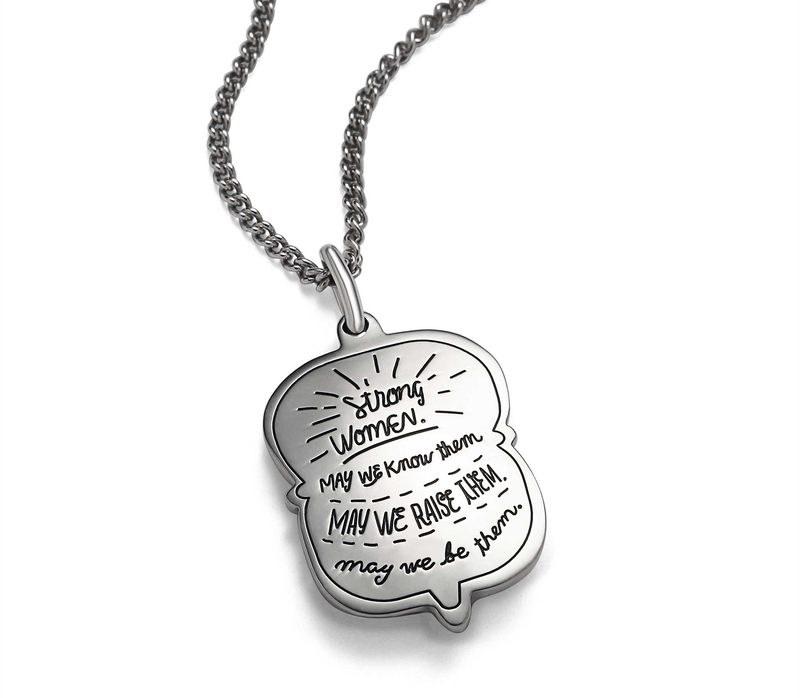 Imagine how much it would mean to have all the strong women in your life wearing the same necklace that reminds them of who they are and where they come from.